Which gold plating kit would be best for me? Customers for our Tank Plating Kits need to plate to exact and substantial specifications and would jewellers wanting to plate gold vermeil or those needing to plate complex, irregularly shaped objects. As well as a great choice of gold plating kit we also offer excellent technical support with our free online electroplating guides and training videos. Each and every item on the kit list for our gold plating kits has been selected to perform a specific and important function so you can be confident that when you buy your complete plating kit, you’re getting only what you need to achieve top quality plating results. Of course, you can buy the complete kit as it is at a generous discount or you can use the kit list as a guide to put together a kit that is completely tailored to your needs. We regard our Battery Powered Gold and Silver Pen Plating Kit as the entry level kit. 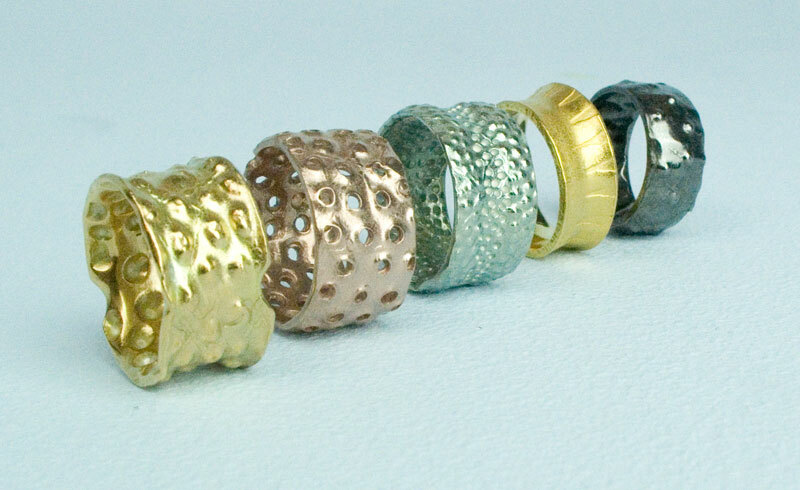 This allows many of our customers to experiment with doing their own gold plating. Once they see how straightforward it is with the Spa Plating process they often move up to our brush or tank plating kits. We manufacture and sell top quality gold plating solution and gold plating kit to entrepreneurs and industry. Specialising in gold plating solutions, we also sell silver plating solutions and many other finishes for brush plating, pen plating and small tank plating. Brush and pen plating is ideal for small scale gold plating, as it’s a way of electroplating outside of a tank and is a relatively easy skill to master. This makes it ideal for people wishing to take control of their own gold plating and avoid the expense of sending their work off to be gold plated. Typically our top selling standard Gold Plating Solution contains 8 grams of gold per litre and our High Speed Gold Plating Solution contains 12 grams of gold per litre. We can guarantee these consistently high standards, as most of our plating solutions are designed and made by Richard Palmer, the founder of Spa Plating. Our top priority is that you achieve excellent gold plating results, no matter what you are plating. We work towards this by selling high quality, fully tested products and provide full technical support with our fully illustrated Electroplating Manual our Training Videos and our Plating Calculators. Our Gold Plating Kit, when used with our on-line Gold Tank Plating Calculator, means you’re now in complete control of the gold plating process. We manufacture and sell top quality gold plating kit and gold plating solution to entrepreneurs and industry. We specialise in gold plating solutions but we also sell silver plating solution and many other finishes for brush plating, pen plating and small tank plating. Brush and pen plating is ideal for small scale gold plating, as it’s a way of electroplating outside of a tank and is a relatively easy skill to master. 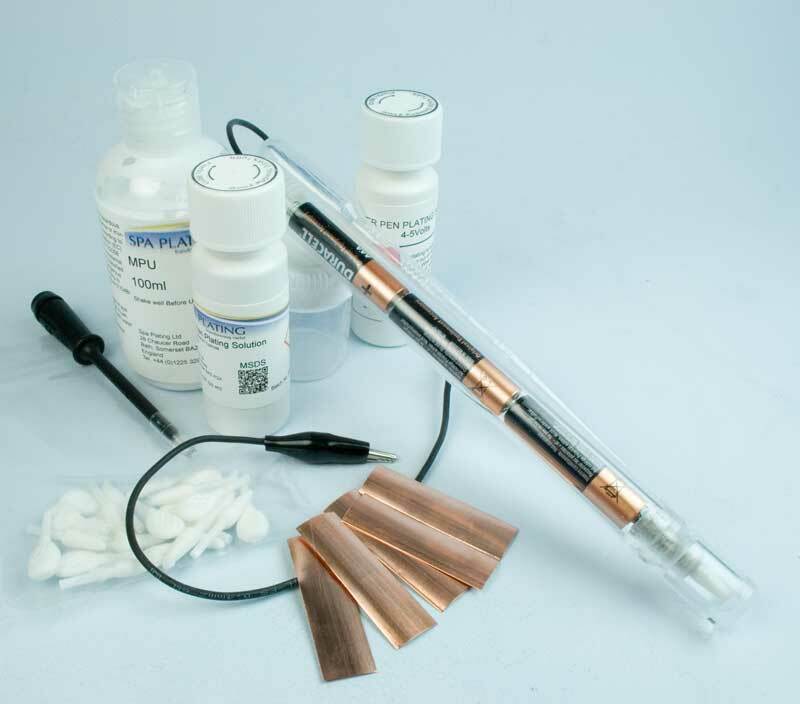 One of our top sellers is our Battery Powered Pen Plating Kit which is ideal for spot or selective plating on jewellery, small decorative items and electrical equipment such as PCBs. Typically our top selling standard Gold Plating Solution contains 8 grams of gold per litre and our High Speed Gold Plating Solution contains 12 grams of gold per litre. We can guarantee these consistently high standards, as most of our plating solutions are designed and made by Richard Palmer, the founder of Spa Plating. Spa Plating’s gold plating kit delivers consistently high standard plating results to our customers all over the world. Uniquely, we have developed easy to use plating calculators that allow you to work out how much your plating job will cost before you start plating. We also supply extensive technical support via our online electroplating manual and our training videos. Plating to vermeil standard requires a layer of gold of at least 2.5 microns on sterling silver and our kit will help you plate to these kinds of specific and substantial thicknesses of gold. You’ll not only be confident that the layer of gold you’ve plated is of a uniform thickness, you’ll also know how much gold is left in your remaining plating solution and therefore how long it will take to plate your next item to the same or a different specification. Our gold plating kit is fully scaleable which means you can plate in tank sizes starting at 500ml up to 2 litres. You can either buy your plating kit ‘off the peg’ with a generous discount, or you can put together your own bespoke kit, using our kit list as a buying guide. We have designed our kit to be flexble so you can easily add items to your kit, safe in the knowledge that it will be compatible with the items you have already bought from us. 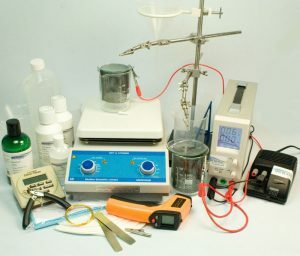 Another of our areas of specialism is our electroforming kit. You can now deposit thick layers of glossy copper on to a wide range of non-conductive materials with very little or no post-plate polishing required. This kit is ideal for electroforming on plastic, including 3D printed plastic models, organic items such as seed pods and leaves and many other surfaces. The electroforming kit includes 7 grams of our Conductive Paint which makes these non-conductive surfaces conductive. Once the layer of copper has been plated our gold plating kit can then be used to plate a layer of gold. Our coloured metal plating solutions such as our Rose Gold Plating Solution are also a popular choice with our customers. As well as rose gold we also sell green and white gold plating solutions. Again, we aim to provide as flexible an option as possible so you can either buy our pre-mixed rose gold solution or mix your own shade with our Coloured Metal Mixers. This range is invaluable for our customers working in the jewellery repair business as it enable them to match the colour of plated silver jewellery mush more accurately. We are proud of the importance we place on research and development. Most of our electroplating solutions are developed and made in-house, which means we can be sure they perform at an optimum rate according to their designated end use. This means we make plating solutions specifically designed for pen plating, brush plating and tank plating. We have over 20 specialist gold plating solutions as well as a wide range of other precious and base metal plating solutions. We have the equipment to test the thickness of the plate of our solutions so we are sure of their plating rates and efficiency. We also use this equipment to test the precious metal content of our plating solutions so you can be sure of the amount of pure gold you are buying in our bottles of gold plating solution. A number of our customers rely on our gold plating kit and solutions to provide electroplating services. We have built good working relationships with our partners over the years and if you need plating done for you, then we can highly recommend our plating service providers. Some of them also provided one-to-one electroplating training in the Spa Plating process. We are trusted suppliers to a very wide range of different companies and organisations. We regularly supply schools and universities as well as small to medium and large businesses in the UK, the EU and all over the world. At Spa Plating we understand how important it is for our customers to be able to meet the demands of their customers. By taking your electroplating in-house with our plating kit, you will be able to both reduce production costs and meet your customers demands for high quality plating. We are a long established company with many years’ experience in our field. We continue to develop new products and are always searching for new solutions to the challenges our customers face in the world of small scale electroplating. In the future we expect to be researching electroplating on 3d printed objects using our electroforming kit and also lauching a plating on aluminium kit. We like to keep our customers informed about our new products via our Twitter accont and also our newsletters.